There are many dystopian books out there but Whispers in Autumn has captured my interest. The blurb about aliens controlling the humans did it for me. I want something new and this book delivered something fresh. The story is about a world run by aliens. Humans were enslaved by their mind control. Every move and emotions were controlled by them. Althea is an exemption. She’s lucid about everything. Though her uniqueness baffles her, why is she immune to their mind control? Who is this new boy named Deshi? Why are the Others searching for her? You have read this book to find out. The world building is good. Like I said, it is new and fresh. The author took her time in describing Althea’s world. I admit that it took me a while to grasp the story. A lot of situations and mysterious characters were introduced that build up my curiosity, which I like. Then the terms such as: Dissident, The Others, Something Else, Wardens and Cell (which is actually the word for school) confused me for a short while. The author dives into the story right away, expecting the readers to grasp it instantly. And I’ am a kind of reader who wants to be spoon feed. I eventually got the hang of it after a few chapters. The characters were well made. They were realistic! I adore Althea. I connected to her easily. I like her uniqueness and strength to find out who she is and why she’s different from the others. Lucas is my favorite character here. I like his personality and the way he see things. His soft spot towards his fish made me smile several times. Then Deshi, the mysterious boy gave spice to the story. As for the love angle, it was slightly okay. Lucas and Althea’s relationship didn’t give me any tingling sensation. Though I find their relationship innocently cute. Overall, this book is a nice read. 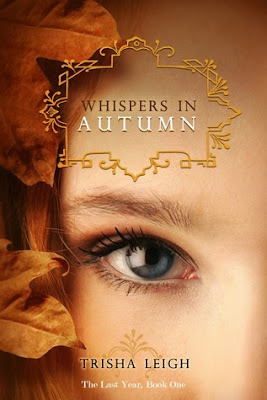 Whispers in Autumn will charm dystopian, suspense and mystery lovers. I can’t wait to read another book from this author. Nice review! I find the alien aspect really intriguing! I can't wai to read this! thanks for stopping by and for liking our review.